During my childhood days, the romance between Brat Pitt and Angelina Jolie was one of the most mesmerizing global news updates I used to read upon. But as they say that all good things must come to an end. Hence, the goodness of "Branjelina" is no exception either. The fairy tale finally ends in tragedy. But amid loud gossips, news bulletins and the series of bitter truths, the social media is all set with its sharp and surprising reactions. Tragedy has struck and this time it has targeted one of the most topnotch, world famous celebrity brands. Therefore the love story this time doesn't get the happy ending. 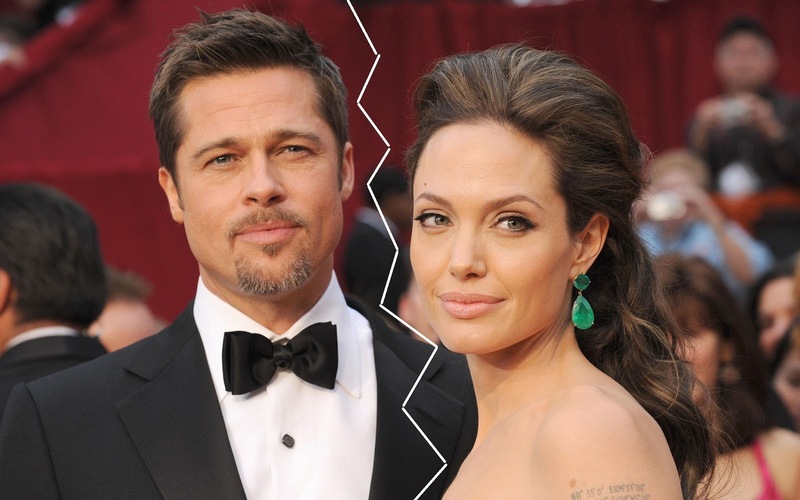 With Jolie's announcement of filling for divorce, the Branjelina has been terminated. The famous couple have 6 children, 3 of whom are adopted. They are good citizens, globally acclaimed and awarded celebrities too. Above all this, the chapter of Jennifer Aniston still looks fresh. They (Brad & Jolie) are among one of the very few couples whose romance, public appearances, show performances and personal life were all caught by the camera in some way or the other. Brad Pitt and Angelina Jolie have always been furiously attention catching in their respective segments and as a couple as well. It is always good to get along with the one you love and Branjelina had been a perfect testimony to it before this tragic news broke in. For million of couples globally, Branjelina has always been a fairy tale couple. Though the unhappy ending always has a bunch of questions ready from the public and media's point of view. Pitt was actually getting along well with Jennifer when he fell for Jolie, but he got over that quite easily. Despite their wonderful and romantic past, Pitt and Jolie have always captured media glare in it's most significant manner. Pitt's & Jolie's independent and collective milestones were always recorded by cameras. Be it their wedding, children, the adoption and what not. Being one of the most glamorous global romantic couples, I'm sure the decision will sure cater to the need of their respective future plans. However this announcement of separation is just the first chapter with a lot many things to follow in a series of plenty more to come. The most interesting will be the custody battle over the children and the wealth it is going to cost Pitt. Whatever comes next, it wouldn't be wrong to say that "Happy Ending" has completely missed out on 'Branjelina' this time.